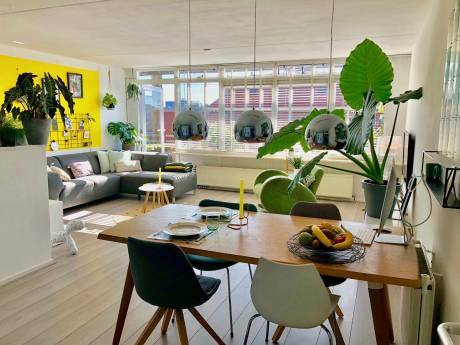 This beautiful and light ‘boutique style’ apartment is situated in the leafy Plantage area which is in the heart of the city of Amsterdam. It has been completely renovated last year and lovingly furnished. The spacious (58 sqm) apartment has high original ornamental ceilings, a display fireplace and 3 large windows on the North and South side. The kitchen is like everything else in the apartment – simple, beautiful, high quality and is fully equipped including dishwasher, fridge-freezer, washer/dryer, SMEG hob/oven and granite worktops. The bathroom includes a large walk-in shower with double basin vanity unit. The bedroom also has an original ornamental ceiling, king-sized bed, built-in wardrobes and two large original doors that close the bedroom and bathroom from the open-plan living/kitchen space. The WC/toilet is located separately to the bathroom. Each piece of furniture has been chosen to create a beautiful and relaxing home. The apartment also has wireless internet and 32-inch Samsung flat-screen TV and DVD player. 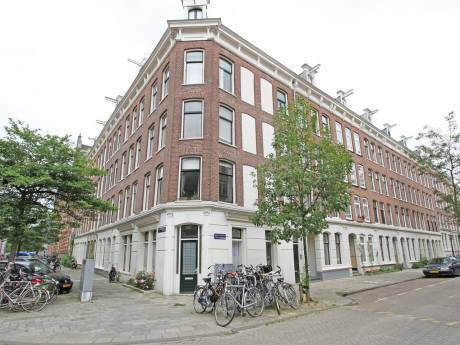 This first-floor apartment (21 steep stairs as is typical in Amsterdam) is located very close to the Amsterdam Business School on a leafy and charming street. 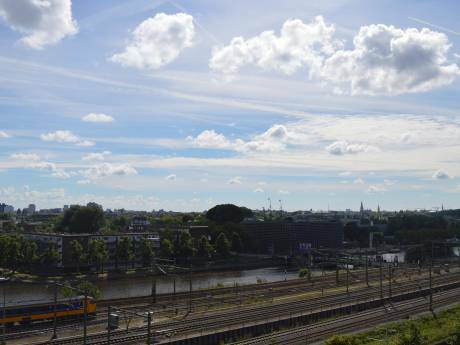 Within 1-3 mins you can walk to various local cafes, restaurants, bakery, supermarket, book store, Kriterion (arty) movie house, Oosterpark, multiple canals, Artis Zoo and the metro/tram. Take a 10-15 min (beautiful and safe) walk, and you are out of the calm and tranquility and into the equally beautiful but buzzing ‘hub’ of the more crowded, busy, exciting and ‘touristy’ part of the city. If you are looking for a quiet and relaxing, ‘boutique-style’, local, well-loved ‘home’ to stay in and enjoy while you explore the canals, museums, shops, parks, restaurants and culture of Amsterdam, then this apartment is the perfect choice. If you are looking for nightlife, partying and a crazy, riotous time – then this apartment nor its location is probably suitable for you. Right outside your door step!